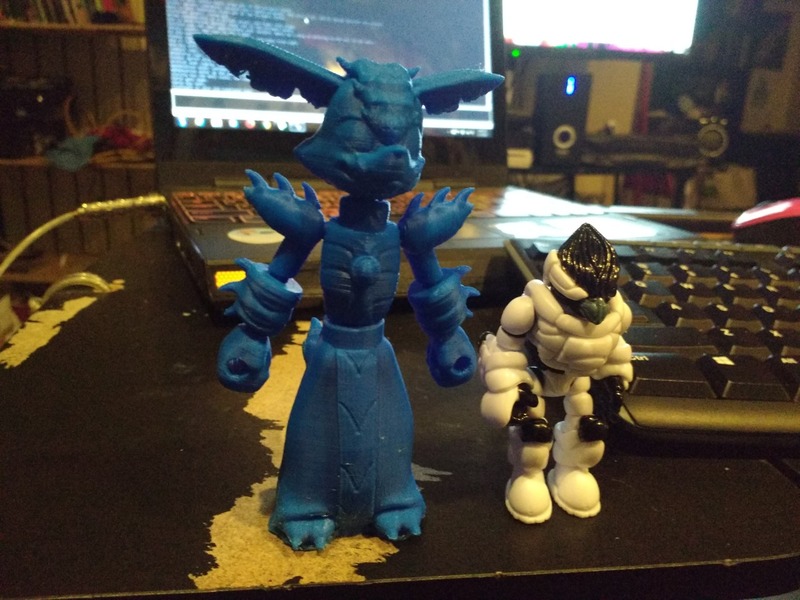 So I been wanting to do my own Glyos figure for the past three years. Finally got some friends, a couple of them 3D artists who are mostly doing this for the experience, and we're gonna crank out a prototype soonish. I'm thinking of also doing an alternate head/pelvis/legs so he can be converted into a sort of minion character. Thanks! I'm stoked that I got friends who want to help me make this a reality! Also, here's a more detailed design. This is just his basic configuration. 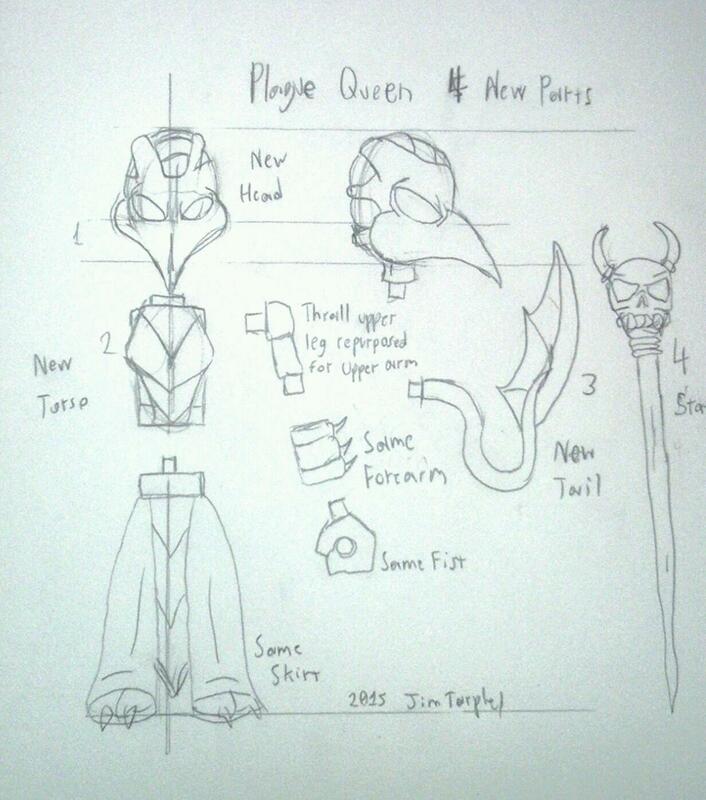 He is also gonna have eight more pieces for an alternate build, but I'm still in the process of sketching that out. 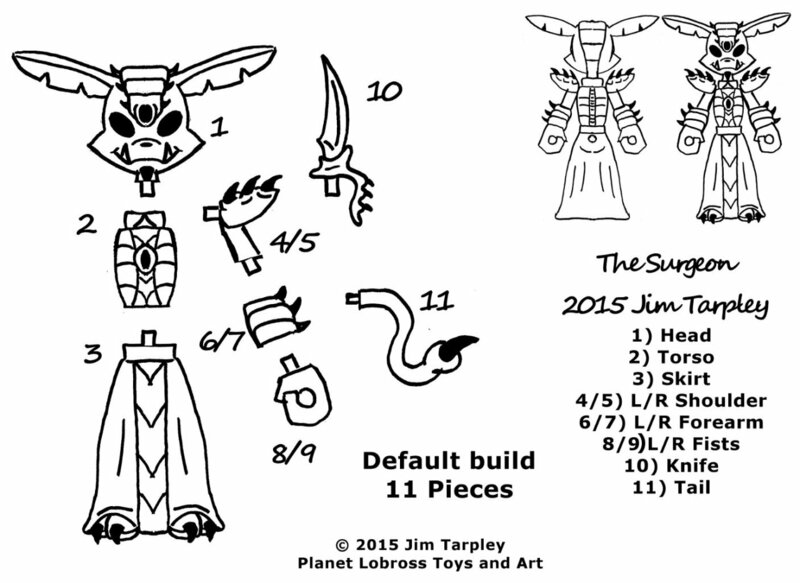 Here is the alternate build using eight additional pieces. This is a thrall, a poor once-intellegent being made subservient by being infected with a piece of The Surgeon's Llugat parasite and turned into a misshapen blood-hungry monstrosity by The Surgeon's hideous flesh crafting abilities. Man, that design is just doing for me! Frickin' awesome dude! Nezumiiro wrote: Man, that design is just doing for me! Frickin' awesome dude! And OMG I didn't expect a 3D mock-up so soon! There's a few details I need to get with the 3D guy about (mostly a few aesthetic things such as head size, arm length/angle, as well as making it two-part mold friendly) but he seems to be nailing it for the most part! And here is an updated render! Next step is to make the tusks a little more vertical, move the mouth up slightly, make the robe over the feet look a little more natural, then finally separate it into pieces and add pegs/holes. From there, we will work on the alt configuration parts. And here's a basic idea of his scale next to a Traveler. Getting close to getting an actual physical prototype in hand! Me and a friend went halvsies on a Lulzbot 3D printer and our 3D guy is almost done with the final tweaks to the model! Also, here is a random idea I doodled at work in my downtime. Plan to do this later after I have the main figure done. 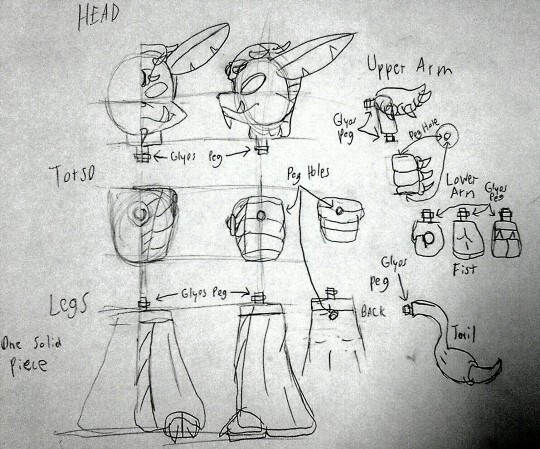 Basically a whole new character using The Surgeon as a base, but with four new additional parts. Final tweaks done to the main model and now it's ready for separation and hole/peg adding! OMG our 3D guy is freaking AMAZING!!!! Also I decided to make the alternate thrall head myself. Also rendered the alternate upper leg, lower leg, and foot. Had trouble making a pelvis, so gonna leave that to the 3D guy. Couldn't help myself. Printed out an OMFG sized version at Shapeways! So after a productive weekend at my business partner's place three hours from where I live, I give you the phase one prototype. Made on a Lulzbot Mini with ABS plastic filament. This is a very EARLY EARLY rough draft. We got a few tweaks that our 3D guy needs to make, the first being scaling him down to at least 3" ideally, though I will accept 3.5" too. I'd liket him to be at least Traveler sized or even Callgrim sized if necessary. Also, after some trial and error with the 3D printer, it was also decided that the recessed details need to be deepened. Also need to angle down the arms and maybe bend them at the elbow a bit to make it look more dynamic. 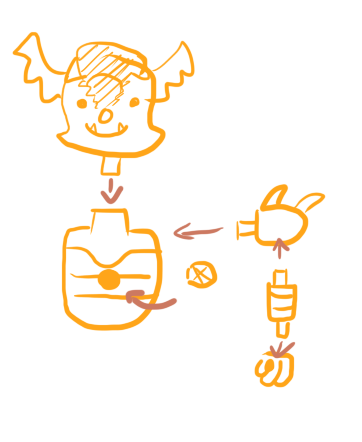 And finally, we are gonna add peg holes to his back for future accessory sets that will include wings and other goodies. And if that works, we'll have our 3D guy put pegs and holes into the alternate build parts. 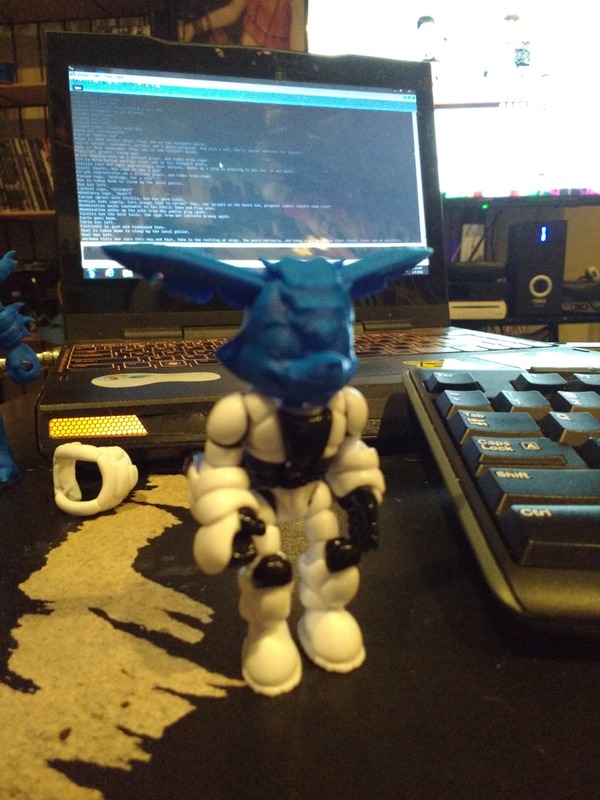 Also need to refine some of our techniques in regards to printing certain items (particularily the tail) and the acetone vapor finishing, but that I can leave in the capable hands of my business partner. But I think after that, we'll be doing some drops! 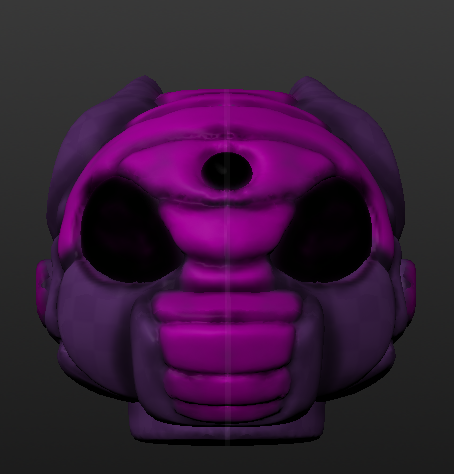 The first colorway I want to run is gonna be Hades style, with a GITD head, tail, and upper arms and a black body. Will also paint the shoulder and head plates back and have some teal detailing on the claws, eyes, horns, and whatnot. I'll paint this guy up this weekend to give you guys a sneak peek. Can you believe it? It's been maybe a month and a half and we've gotten so far! Also, any of you 3D slingers got any advice? We are open to suggestions. Great work! This thread is very interesting to me. It's nice to see a figure start from a drawing and progress through the stages, and very informative. As someone who can barely just use photoshop, I appreciate learning the process that 3D design is. Keep it up! It's moving so fast! 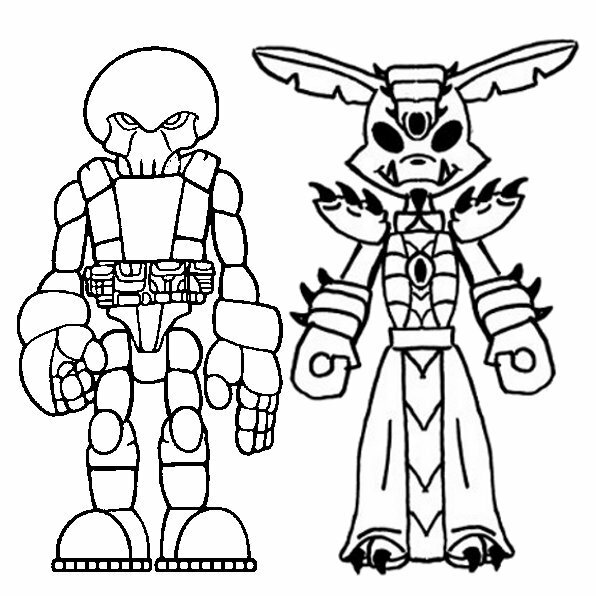 The shoulder and the chest decoration being separate pieces is actually something I been pondering, and might consider implementing them when we make enough to put these guys into PVC production. For right now, though, I wanna keep it simple as 3D printers can be tempermental in regards to printing small parts. Also, I am highly amused by your drawing. He just looks so happy! Nemo wrote: Great work! This thread is very interesting to me. It's nice to see a figure start from a drawing and progress through the stages, and very informative. As someone who can barely just use photoshop, I appreciate learning the process that 3D design is. Thanks. That means alot, considering your own figures were my inspiration to actually jump in and make an honest effort to get a figure of my own out there! As for the speed of this project, I am surprised as all get-out myself. I think we have our 3D guy to thank for that. 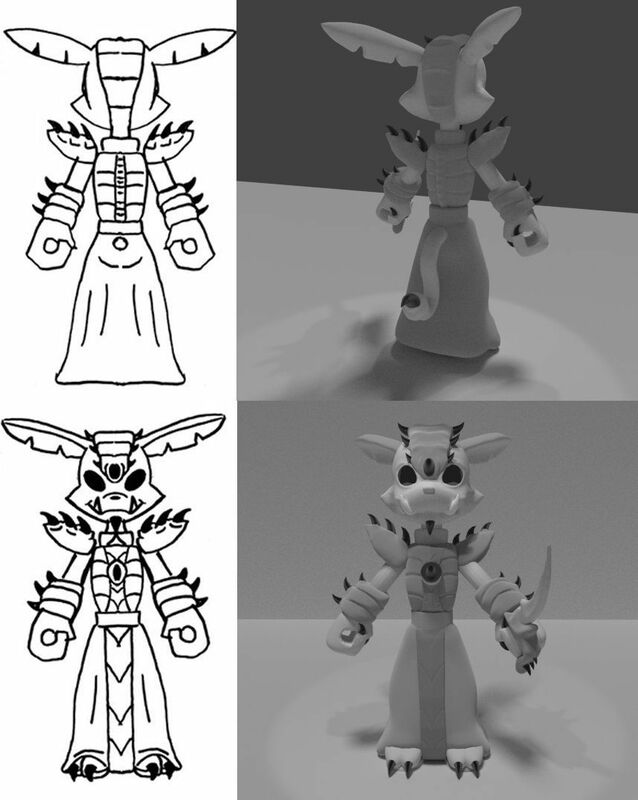 He's freaking amazing and works super fast every time we ask him to make a tweak to the model. Got a Tumblr blog for this guy set up. So far it only details what I got posted here, but it'll have other cool stuff too. Well seems The Surgeon is gonna go on hiatus. For reasons I'm not going into, me and my friends have amiably parted on the project. 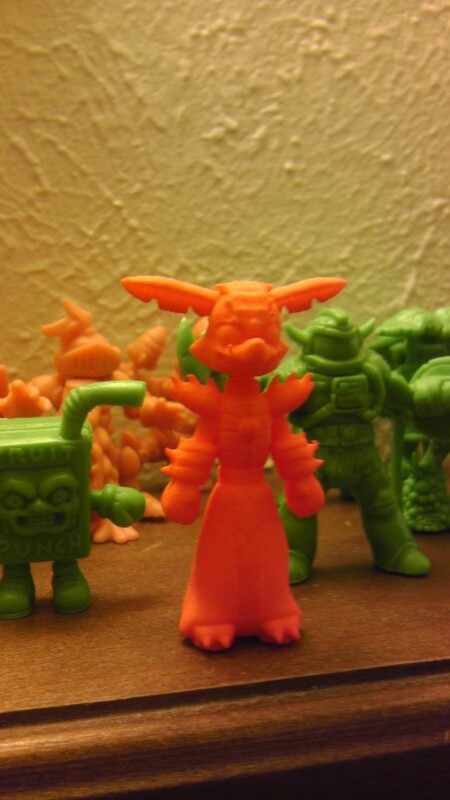 My business partner bought out her half of the printer and I am gonna compensate the 3D guy for the models he made. Maybe in a few months, I'll get a printer of my own and try to get this guy running full steam ahead myself. Mutt12 wrote: Well seems The Surgeon is gonna go on hiatus. For reasons I'm not going into, me and my friends have amiably parted on the project. 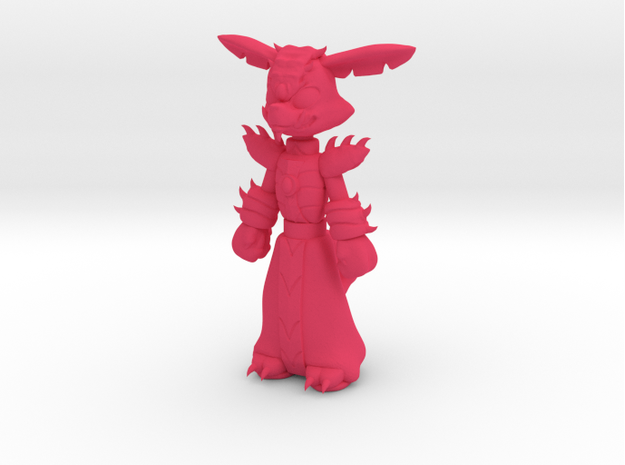 My business partner bought out her half of the printer and I am gonna compensate the 3D guy for the models he made. Very sorry to hear this. I for one was anxiously awaiting a shot at these. When time (and money) allows you to resume, count me in for an initial release. Thanks. Don't count this project out just yet. 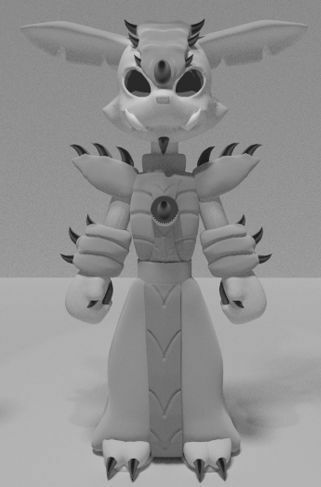 Soon as I pay the 3D guy for the work he did, got another friend capable of tweaking the models. Just gotta save up for a printer of my own. dang dude it looks like we both got hit with 3d printer issues at the same time. LMK if you need any help with the models. mushbuh wrote: dang dude it looks like we both got hit with 3d printer issues at the same time. LMK if you need any help with the models. I got my friend Ren working it currently, but thanks for the offer! And hopefully with what I can salvage from my tax return and March being a three-paycheck-month, I can get myself a printer. 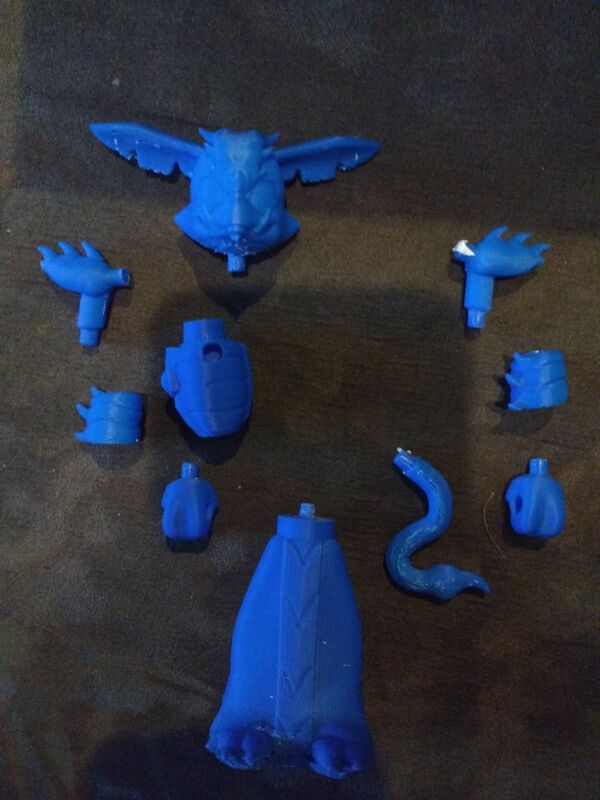 Just joined the Glyos group, and been looking over your thread, I really hope you get to make your creations, they would make a great addition to the Glyos family as well as customs people can create with the new parts. Knock on wood, I might have a printer middle to late March. Also waiting for my friend Ren to finish his work on the model. With that, I'll have several prototypes to sell as well as give to certain individuals to spread hype! In the meantime, to help with the financial efforts to bring this guy to life, I have put a minifigure sized version of The Surgeon up on Shapeways! He's available in all sorts of colors in polished nylon, but his detail really shines in black acrylic! This is just something I been toying around with and might use in a figure design later on. 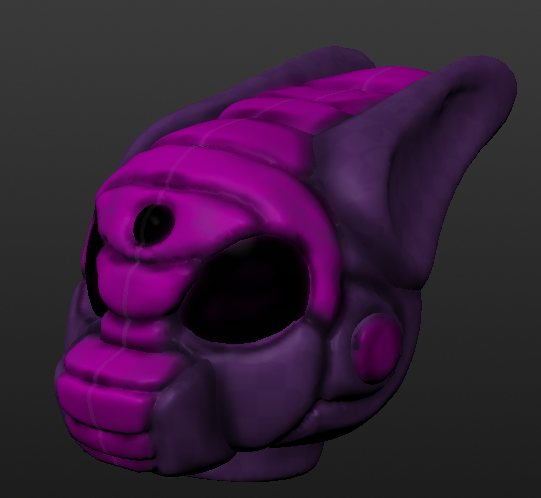 This is the helmet of a being named Kreed, a creature cloned from a piece of The Surgeon's host body, made with the sole purpose of destroying said vampiric menace and bringing back his parasite alive for further study. Just a quick update. 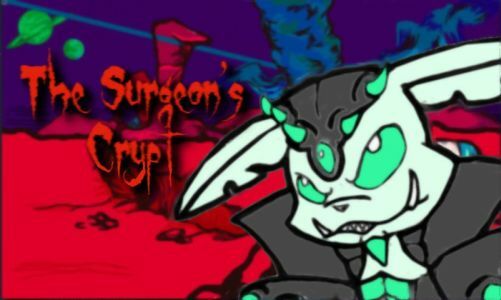 Moved The Surgeon's Crypt from Tumblr to Blogspot.